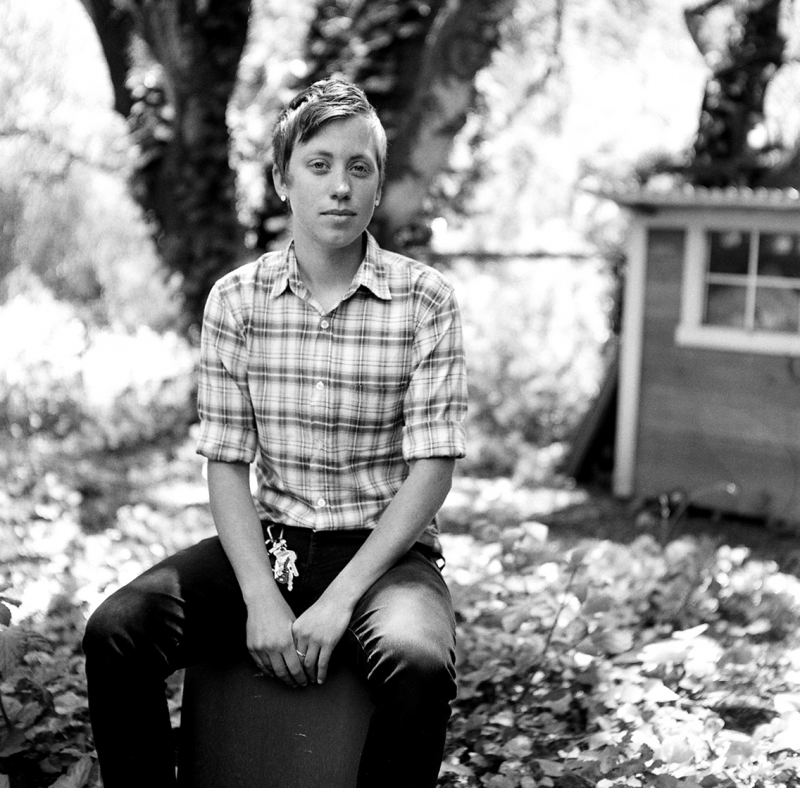 “Alli, Whiskey Hill” is one image from a growing series of portraits of queer musicians and artists. These images, rather than consenting to be devoured, engage the viewer in a conversation with the viewer’s own preconceptions. This image fixes Alli’s cool, open confidence in time. Just as there is a spectrum of art and music there is a web of gender: strict duality is a misnomer. I began making images as a college undergraduate in 2005 and studied both gender theory and photography so that I might contribute to the emerging queer visibility in contemporary art. I’ve worked as a teaching assistant alongside numerous photography professors and have shown work in galleries around California and on the east coast. I am currently an MFA student at the San Francisco Art Institute and will continue to apply a feminist lens (pun intended) to my photography. History has often erased or disdained queer culture by stamping individuals as categorizable subjects; this portrait of Alli re-appropriates radical identity and interrogates a subject vs. object dichotomy. Photography, for me, is not about taking credit for what fits inside of a frame: It is about illuminating what’s been overlooked.